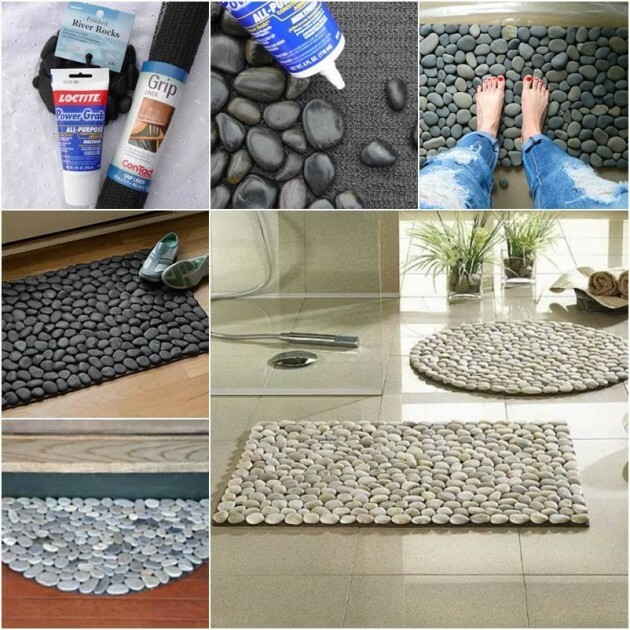 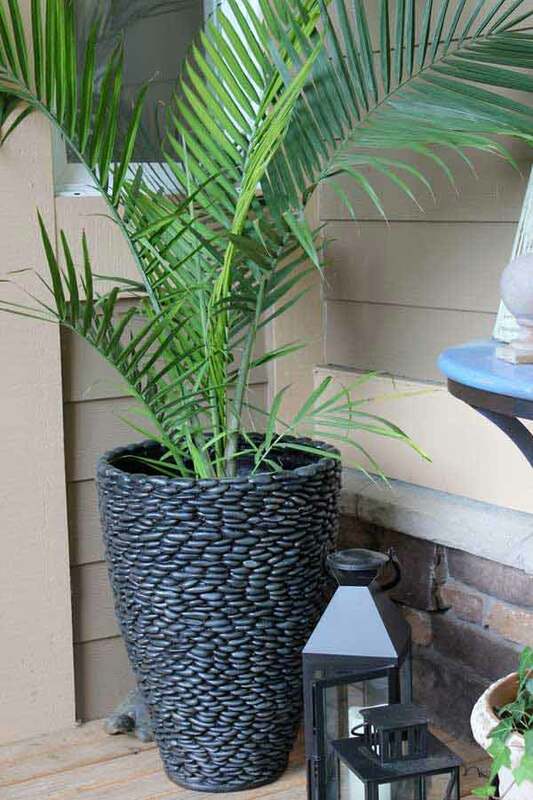 With their natural colors and round shape, you can make a lot of different interior or outdoor decorations like flower pots, stone floor mat, river stone placemat etc. 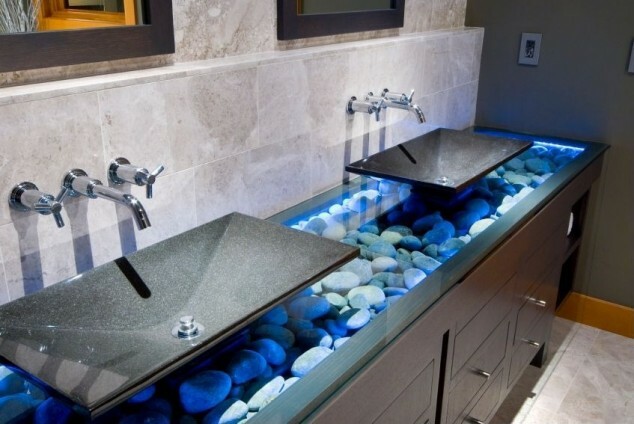 Also you can add them in the bathroom, bedroom and, in the kitchen. 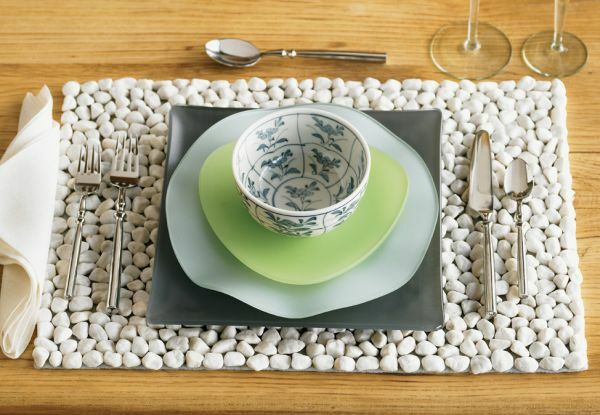 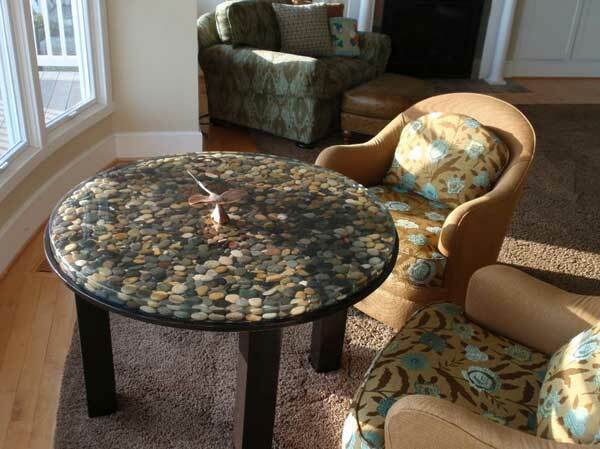 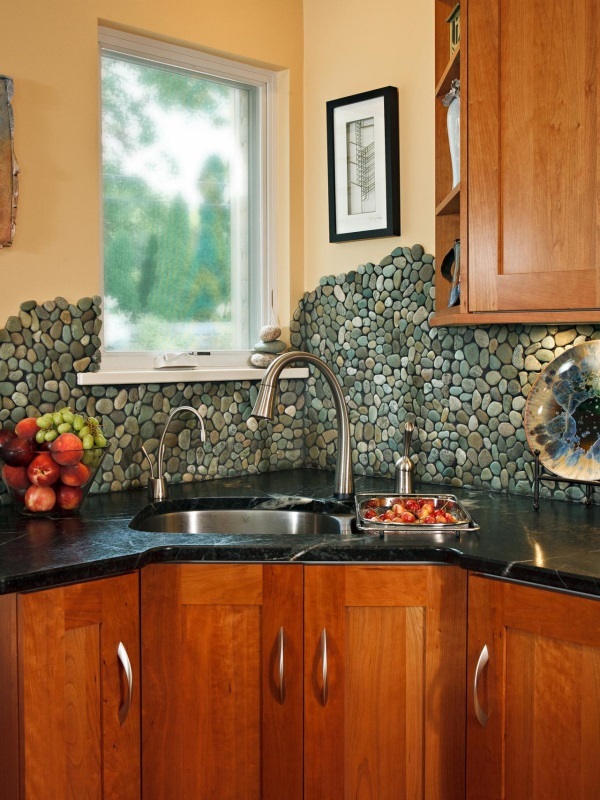 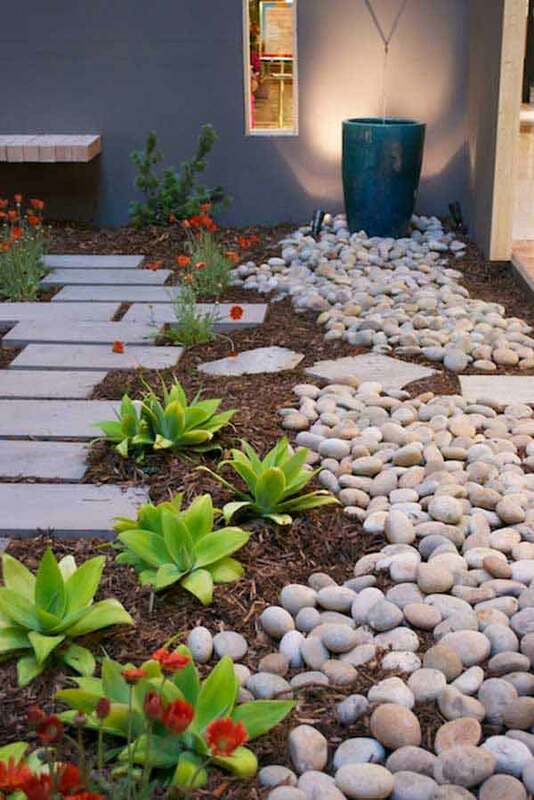 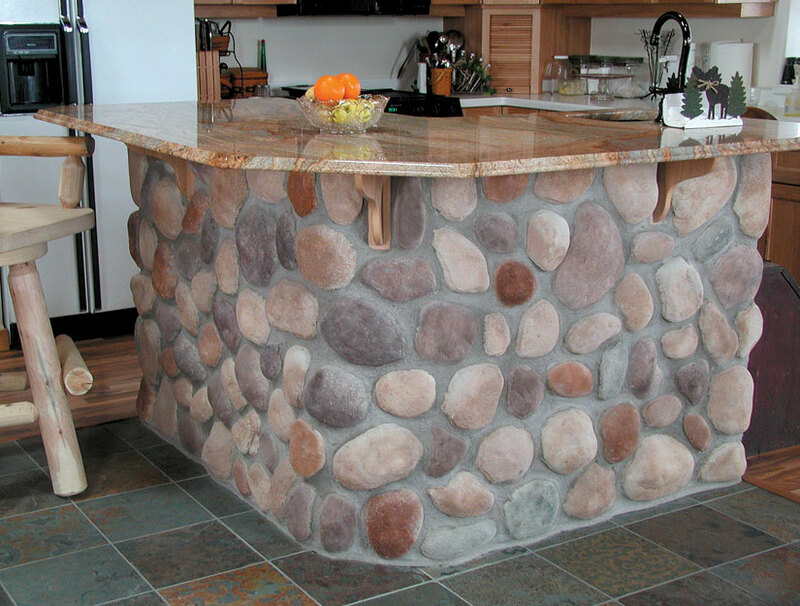 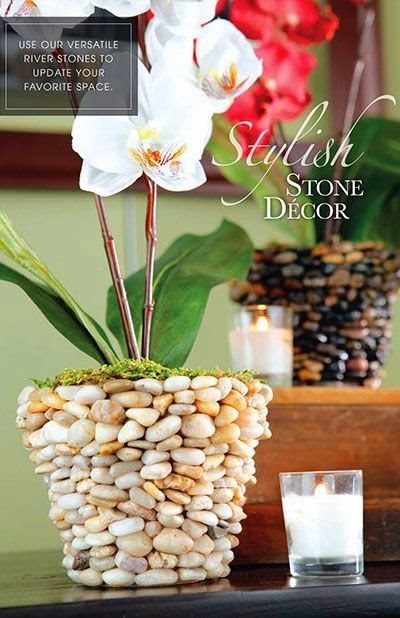 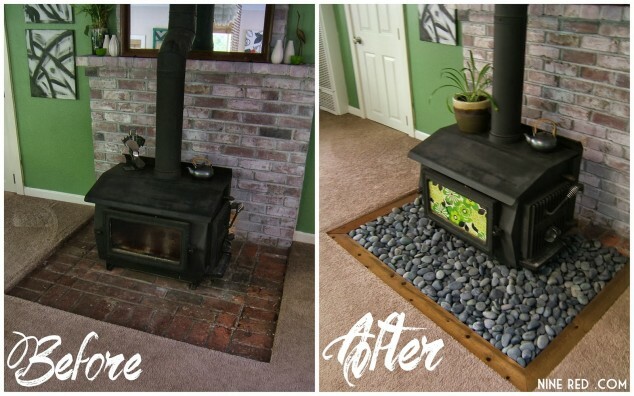 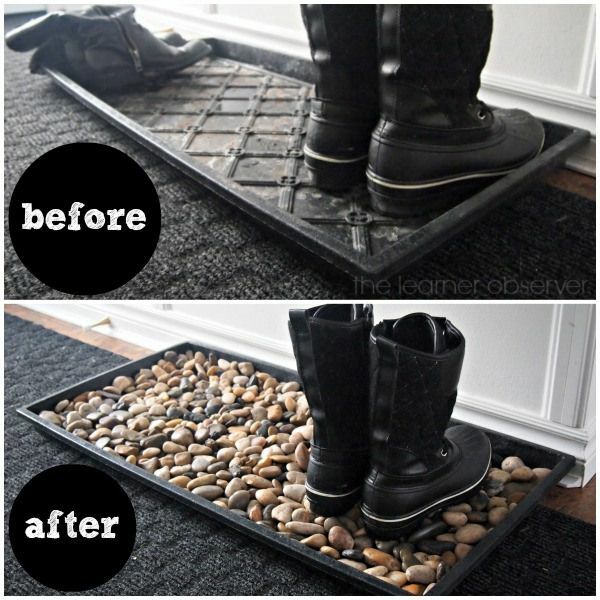 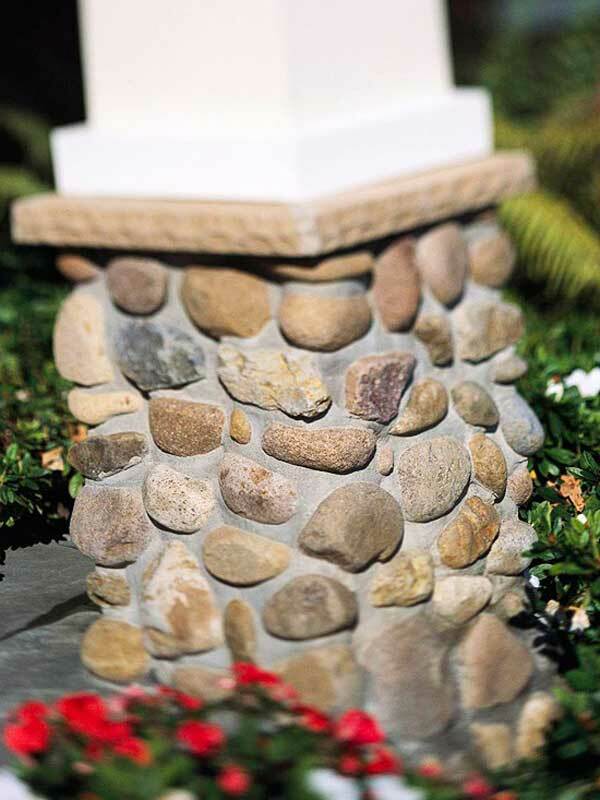 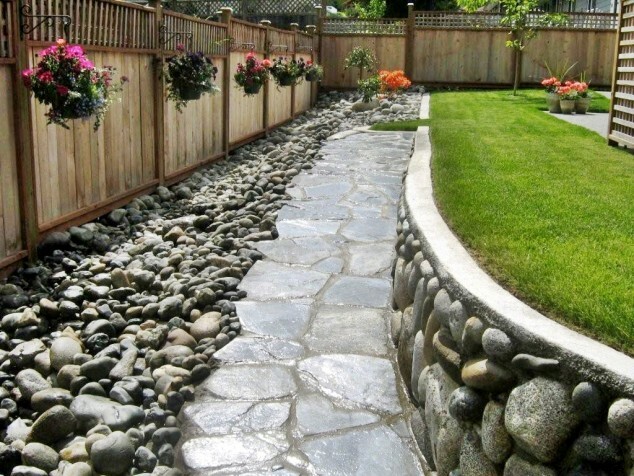 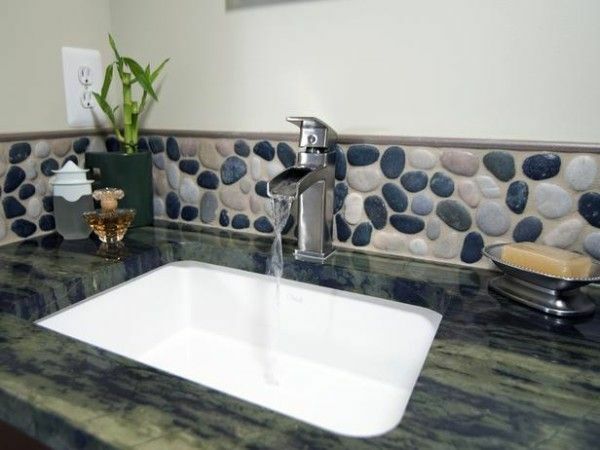 For example you can make your kitchen islad with stones, you can see this in one of the pictures below. 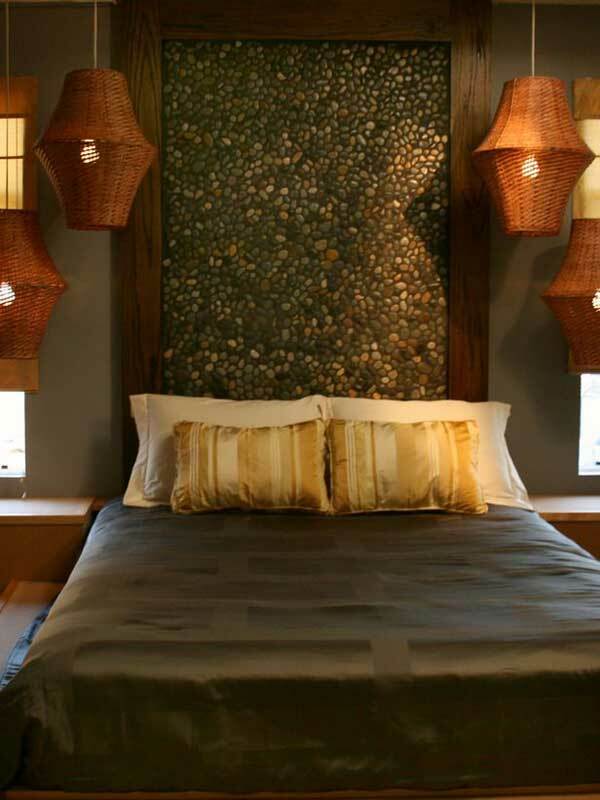 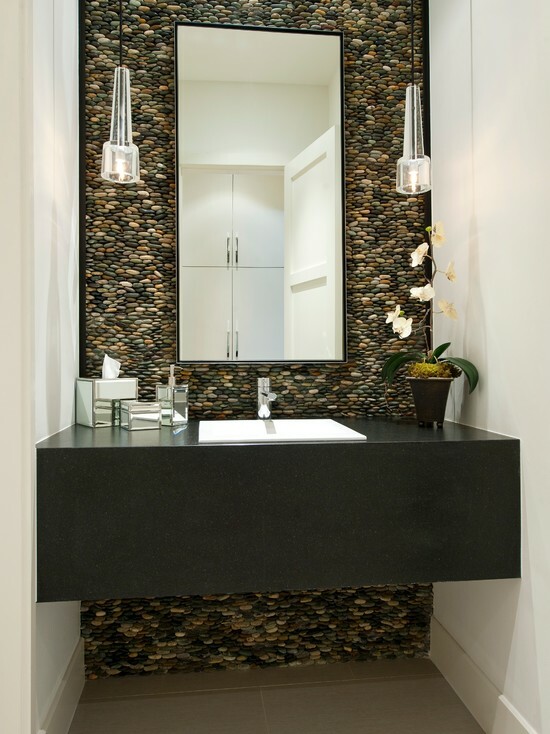 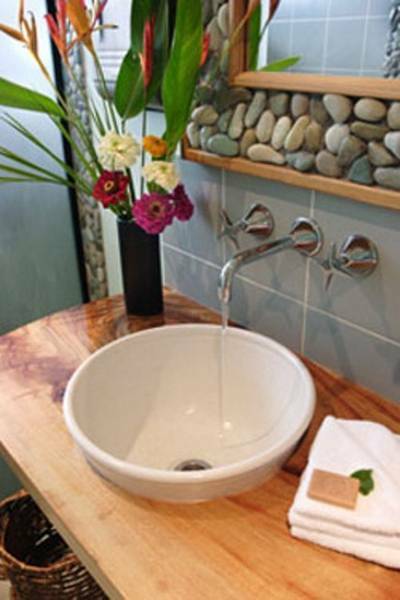 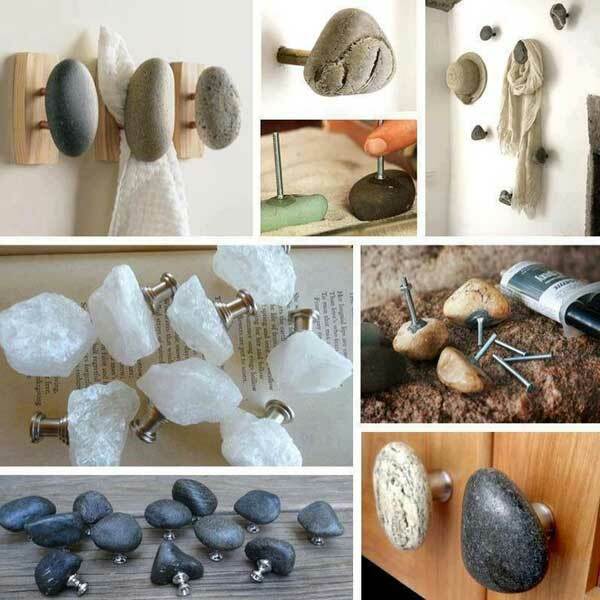 You can add them in the bathroom if you make one wall with stones and this would make your bathroom look more stylishly for sure. 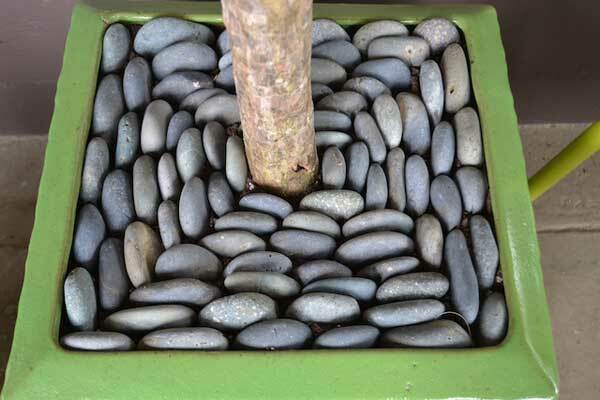 I’m gonna stop talking now, and only thing should do now is to take a look at the pictures below where you can find a lot of inspiration. 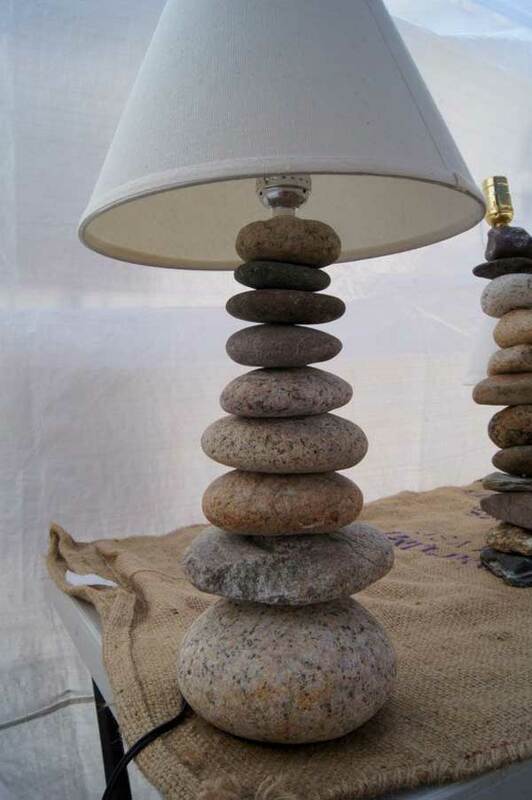 You will not regret for sure if you make one of this things made with river rocks.